The Arkansas River Basin Water Forum is a 501 (c)3 non-profit that serves as a conduit for information about the Arkansas River Basin in Colorado and for issues related to water allocation and management. Through our annual Forums, a wider understanding of water issues has evolved and along with it the opportunity to find common ground. Beginning in 1995 in Pueblo, our Forum was developed as a means to bring together the diverse water interests to explain their views and engage in open dialogue about water issues in the basin. Through this dialogue, the Forum seeks to create a greater understanding of Colorado water law, water use, and water conservation. In 2019 we are celebrating our 25th anniversary, returning to Pueblo to celebrate this incredible milestone. 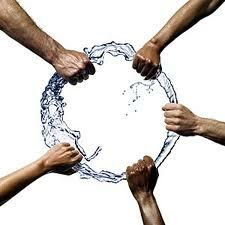 Not many events last 25 years which attests to the outstanding quality and commitment to our annual Water Forum. We welcome over 200 people representing agricultural, municipal, industrial, environmental, recreational, and governmental interests, offering attendees and participants a unique opportunity to interact and engage with a diverse group of water users and stakeholders in the Arkansas River Basin. Our annual Forum generally alternates its location between the upper and lower basins, supported each year by an outstanding planning committee comprised of dedicated people who come together to sponsor and host the Arkansas River Basin Water Forum. The objective of the Forum is to promote open dialogue among water users and the general public, thereby creating a greater understanding of Colorado water law, beneficial water use, and principles of water conservation. Through this dialogue, the Forum seeks to find common ground between the primary water users in the basin. The Forum particularly targets agricultural, municipal, industrial, environmental, recreational, and governmental interests in the basin. The Forum is a friendly, constructive medium where individuals and organizations are able to explain their views and engage in open dialogue with other water users in the basin. Through past Forums, a wider understanding of water issues has evolved. We hope this greater knowledge contributes toward management decisions that serve the common good for all who call the Arkansas River Basin their home.